Then, we have the 50th anniversary of the film Breakfast at Tiffany’s commemorated with a showing, in New York by the Brooklyn Bridge Conservancy on August 11, 2011. Here’s a look at the most charming invite to the ‘très exclusive entertainment ‘ of the original premiere that was held in Hollywood at Grauman’s Chinese Theater on October 17th, 1961. 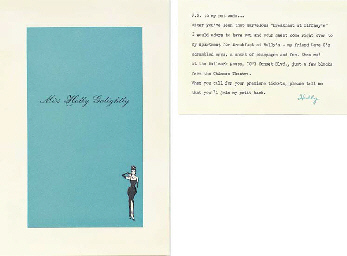 Christie’s auctioned this invite, which was property of Marlon Brando, the estimate was $200-$300 and it sold at $2280. Wow, how charming. And though I was not invited to this très exclusive event, there was a real Breakfast at Tiffany’s on the morning of August 24th to launch their Fall 2011 Leather Collection, recorded beautifully by the interior design blog, Habitually Chic. 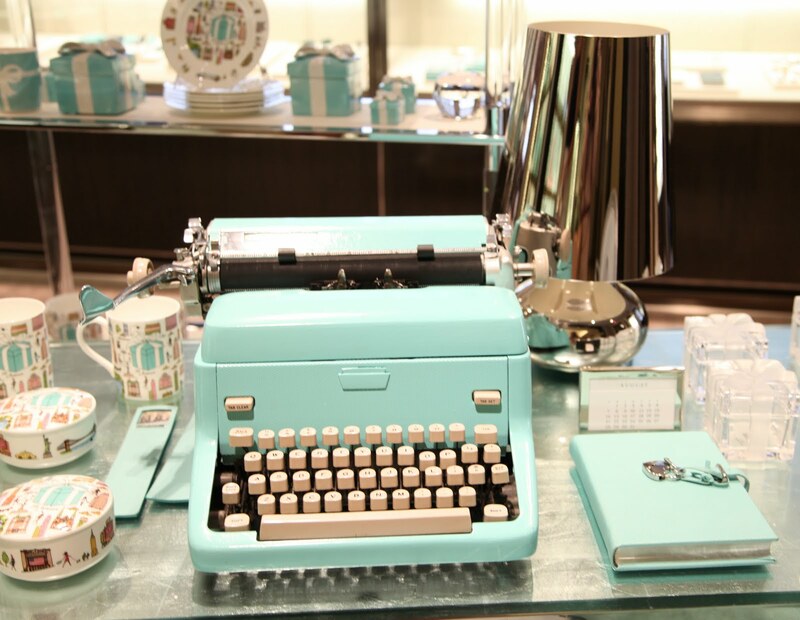 My favorite item is the Tiffany blue typewriter, what every desk needs. So charming ! FYI, the Tiffany blue is protected by a color trademark and was created by Gene Moore, the leading window dresser of the 20th century. 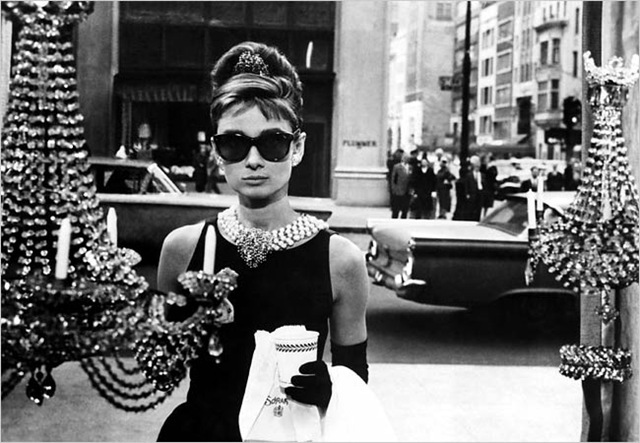 He worked at Tiffany’s starting in 1955 and designed their memorable windows for nearly 40 years. 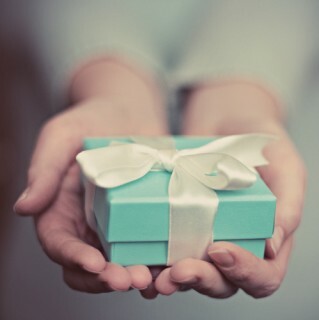 He also created the famous Tiffany blue box that has made a lot of girls happy over the years. So now that Irene (not charming) has blown over I’m off to Paris. In the meantime, your end of the summer reading assignments are below. 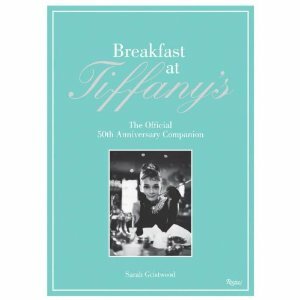 Line up now for the Breakfast At Tiffany’s: The Official 50th Anniversary Companion by Sarah Gristwood & a forward by Hubert de Givenchy-release date Sept. 6,2011. A Must for our collection, fans. Next you’ll want to read all about Gene Moore who created the Tiffany image. 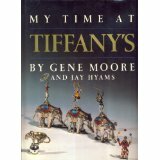 My Time At Tiffany’s by Gene Moore with Jay Hyams (Oct 1990). 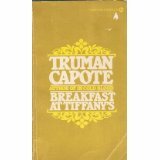 And for those who want the original novella , Breakfast at Tiffany’s by Truman Capote -1958 paperback by Random House. 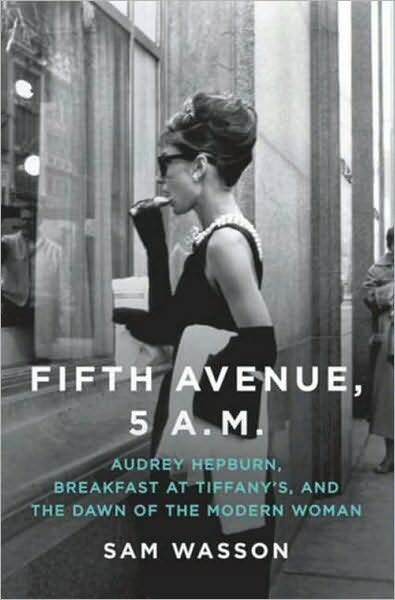 And all those who did not read the previous assignment-here it is again-everything you wanted to know about the making of the movie-Fifth Avenue, 5 A.M. by Sam Wasson. Don’t forget to check-out my charming charms at www.deannalittellscharmschool.com. P.S. Be sure to check back next month for some really exciting charm news. The Charm School Gazette will write about all things “charm,” will answer all questions about “charm,” will help you be charming, and find Prince Charming. I’ll tell you about my Charm School where you can create and order custom-made charm bracelets. I hope you’ll be charmed!